tnc exclusive content: We are getting lot of queries related to the shipping time of Zeiss ZX1 camera. Users are asking – Why still the shipping date of the camera isn’t clear yet, and when the shipping of ZX1 will start ? We were surprised when today we have spotted the Zeiss ZX1 camera at wireless certification agency. In general camera company first register its camera at Wireless certification agency and after 3 to 4 month they officially announce the product into the market. But, that’s not in the case of ZEISS ZX1 Camera. Zeiss announced their ZX1 camera back on Sep, 28 2018. But, at that time Zeiss made only few protypes to showcase their products to different media outlets and professionals. I am not able to understand the way Zeiss team is working, since it’s a kinda un-professional way to announce a camera publicly without being prepared for its official announcement. It will only create unconditional delay between the announcement time and shipping time of the camera, and that’s Reason Behind the Unknown Shipping date of ZEISS ZX1 Camera. As I always say, if the Zeiss ZX1 camera surfaced today at wireless certification agency then you can expect its availability from August of 2019. While talking to “Chasseurs d’Images” French Mag Nikon France President confirms that Nikon is working on next generations of compacts to compete against smartphones. They do have good contact with third-party sensor maker(s) And at the same time we agree that DXO Lab DSLR test score tables are dominated by Nikon DSLRs. Yes, of course we do know that Nikon D810 is coming at end of July and Nikon D610 replacement is also expected in next few months. 4. 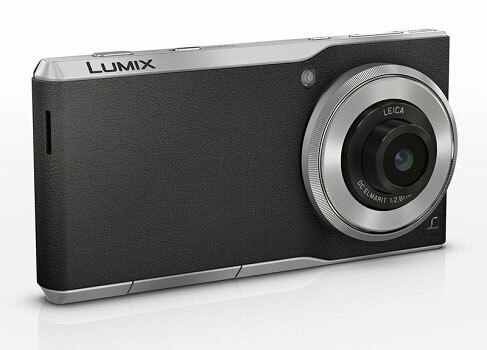 They are working on a small camera to compete with smartphones. I think they should also allow 3G/4G calls from smartcamera, then only it can compete witth smartphones. 5. Nikon will not quit the camera business and they are spending a lot of money on research and development. After reading the interview I feel that Nikon is Alive and kicking, they are working hard to bring back compacts camera glory back to camera industry. Kodak announced new Photographers smartphone named Ektra. Let’s do some research. The Ektra camera was actually a film camera introduced back on 1941. According to Kodak the new Ektra is a photography focused Smartphone. And yes it’s actually true to some extent.\Kodak really done a lot of work to design the control and interface of the Smartphone that resembles with today’s compact camera. As you can see the image the Smartphone features physical jog dial button where you can select the type of mode you want, including Manual where you can select exposure, ISO, focus, white balance and shutter speed. The camera isn’t anything like Nokia lumia 1020 or highest rated Google pixel Smartphone. The module inside the Kodak Ektra is Sony IMX230 camera module used by Xperia Z4 Smartphone (Announced on May 26, 2015). The IMX230 camera module features 21-megapixel (MP) main camera with f2.2 aperture lens and 192 AF points for Fast Auto focusing and built in HDR recording capabilities. 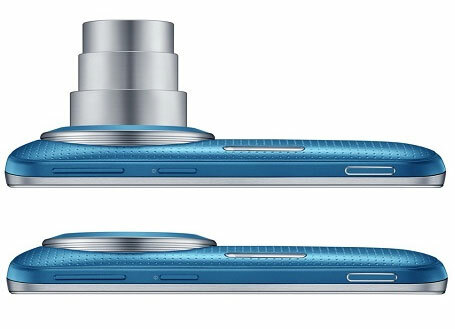 As far as I know the same camera module is being currently used on Lenovo Vibe X3, Motorola Moto X Style. a 13MP front-facing camera, 3,000mAh battery, 3GB RAM, 32GB in-built storage, and a USB Type C charger. It will ship with Android 6.0 Marshmallow. The researchers of MIT and Google have done a tremendous job; they are really dedicated towards their research and succeeded to develop a technique for removing undesirable reflections and obstructions from photos. The method uses a very clever technique, the camera will ask you to move your hand while taking the shot and it will take multiple images, from the multiple shots it will create a final shot by implementing new algo, the new algo will detect the fence or Obstructions punched into one image by removing the fence and putting subject into focus. All this done with the help of newly developed algorithm developed by the researchers of MIT and Google. The Algo automatically searches for near and far subjects by utilizing the parallax effect and once the subject is identified they can be separated and obstructions. We will soon see android smartphones camera with such feature OR google can update the camera app in next few months with this new algo, stay with us and get regular updates. Take a look at the video. Another BIG nail in the compact coffin, DynaOptics successfully developed a method to add optical zoom lens inside the smartphone camera module without increasing its size, but new technology needs more R&D before it adopted in large sacle, so it’s not coming too soon. Smartphone’s camera image quality, resolution and sensor size has improved incredibly in the past few years. The credit for this advancement goes to the manufactures of the smartphone companies who are spending billions of money in R&D of technology and due to this dedicated development in the present time smartphone image quality can overcome the quality of pictures produced by several consumer level compact cameras. Leading lens manufacture company “DynaOptics” wants to add optical zoom technology that would fit into even the very slim bodies of smartphones. 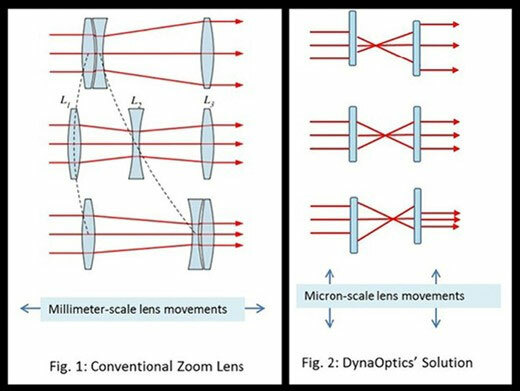 s. To achieve this, DynaOptics does away with the conventional zoom setup, which involves lens elements moving along the optical axis to change focal length. Instead, it uses a new system that achieves the same effect with aspherical lens elements moving laterally on a micron-scale. However presently the technology exists in only prototype format and the next task for DynaOptics would be to miniaturize it further and get it ready for mass production . The mass production will start probably by the first quarter of 2015, hence it is possible that people may see apple iPhone Plus 2 with optical zoom in 2016. Its a new trend in digital photography coming “shoot first and focus later”, the technology first introduced by Lytro in its light field camera (see at Amazon) after that Nokia introduced it re-focus app for windows phone, HTC also joined the force by announcing HTC M8 smartphone and finally google introduced “google camera app” the features DSLR type shallow depth of field and bokeh effects, however the app is currently limited to very high-end android OS based smart devices. The app virtually simulate different aperture sizes to achieve desired bokeh effect, so theoretically now a smartphone can do everything for you just like a DSLR..
Nikon Coolpix S810cannounced today, the camera runs on Android 4.2.2 Jelly Bean, you get 16 megapixel BSI-CMOS sensor, 12X optical zoom with VR image stabilization and 3.7-inch touch screen LCD. MELVILLE, NY (April 10, 2014 at 12:01 A.M. EDT) – Today, Nikon Inc. announced the new COOLPIX S810c, which combines Nikon’s powerful camera imaging technologies and the vast capabilities of the AndroidTM Operating System (OS). Whether photographing friends dancing into the night or fast-action sports, the 16.0-megapixel COOLPIX S810c helps users never again settle for sharing a sub-par cell phone photo to their social networks. The new Nikon COOLPIX S810c provides users with the power to capture high quality images in low-light or from a distance, delivering the results that would otherwise be a challenge to capture with a smartphone. The COOLPIX S810c features a 16.0-megapixel, backside illuminated (BSI) CMOS sensor for excellent low-light ability, and a 12x optical zoom NIKKOR lens (with24x Dynamic Fine Zoom) to get the sharp shots from up close or far away. Further bolstering the low-light capability of the S810c, the camera has an ISO range up to 3200, as well as Lens-Shift Vibration Reduction (VR) to help banish blurry photos, even while shooting handheld. To capture those special moments, the camera also has a fast continuous shooting mode. Whether liking a status or tagging a photo, COOLPIX S810c users can seamlessly share their most memorable moments with friends and family with the AndroidTM 4.2.2 Jelly Bean Operating System. When accessing Google Play™, users have access to endless apps including Facebook, Twitter, Instagram and many other apps where they can share photos and stay connected. With the Android OS, users can surf the web, read their latest emails, browse through their friends’ photos and videos, navigate with maps as well as many other functions offered by Android apps. The built-in Wi-Fi capabilities of the S810c provide a simple way to directly share photos instantly with friends and family. When no external Wi-Fi network is available, users can also connect to a compatible smartphone or tablet via the dedicated “Connect to S810c” app1 in order to transfer, share and view their images on that smart device. Additionally, the COOLPIX S810c has built-in GPS for location-based apps, as well as a stereo headphone jack, which allows users to operate their camera as a mobile media player device. With the COOLPIX S810c users can easily navigate to their dinner date, while listening to their favorite playlist, and then shoot and share their entrée as well as the night’s details with friends, all with the same device. Whether sharing, swiping, composing or navigating, users will appreciate the wide and bright 3.7-in. touch-screen LCD monitor with 1.2 million-dot resolution, as well as the ability to capture Full 1080p HD video. Additionally, COOLPIX S810c photographers can explore their creativity with a variety of special and creative effects including user-friendly modes and features like Easy Panorama, which lets the user simply sweep the camera to create an ultra-wide panoramic image. Furthermore, the camera also features a new enhanced battery, allowing users to stay connected longer. The Nikon COOLPIX S810c will be available in early May 2014 in Black or White for a suggested retail price (SRP) of $349.95**. For more information on the latest COOLPIX cameras as well as other Nikon products, please visit www.nikonusa.com. 1Cameras having Wi-Fi® capability can only be used with a compatible iPhone®, iPad®, and/or iPod touch® or smart devices running on the Android™ operating system. The “Connect to S810c” application can be downloaded free of charge from Google Play™ or the Apple App Store. Availability for the application will be announced in the near future.